Below you will find information information regarding a 319 request that will be submitted for this funding cycle on the Upper Chattahoochee. I spoke with Nathan and Dale about trying to replicate some of the 319 work we’ve been doing here in Habersham County. Much of our success can be directly attributed to establishing formal collaborative partners on key projects. In the next few days you’ll be receiving information about how to connect with this project. Please consider joining the effort. Let me know if you have any questions. Thanks in advance for your help! Keeping Watch Over Our Waters Since 1994! Summary and Site Location: In the Appalachian foothills of northeast Georgia, the headwaters of the Chattahoochee River flow through Sautee Nacoochee, an unincorporated community in the eastern central part of White County. 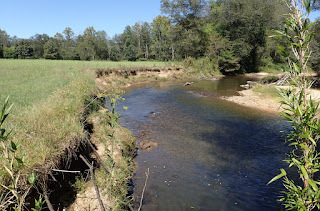 Within the Nacoochee Valley and approximately 550 feet downstream of the confluence of Sautee Creek, a 250-foot section of a highly eroded and unstable outer bank of the Chattahoochee River results in heavy sediment pollution, negatively impacting habitat for desirable flora and fauna in a “303(d) listed for biotic impairment (Bio F)” section of the river, which is also located in a “Priority HUC-12 Watershed”. 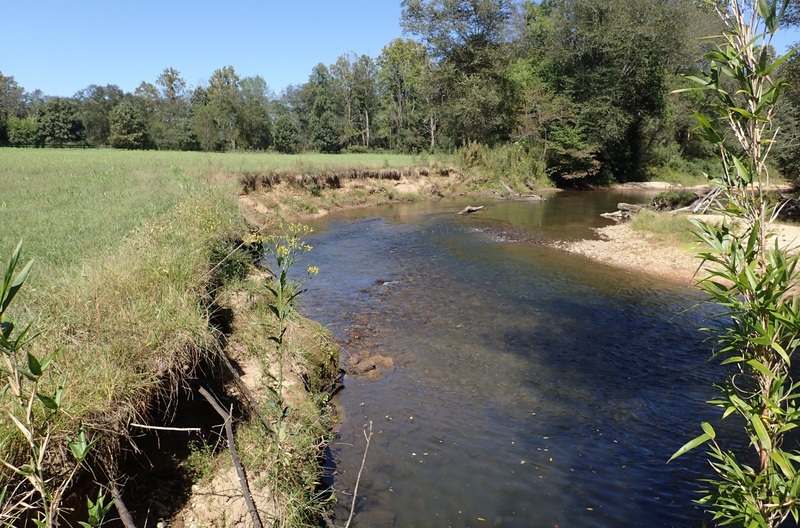 This erosion also causes channel deepening and widening, prohibiting floodplain connection. 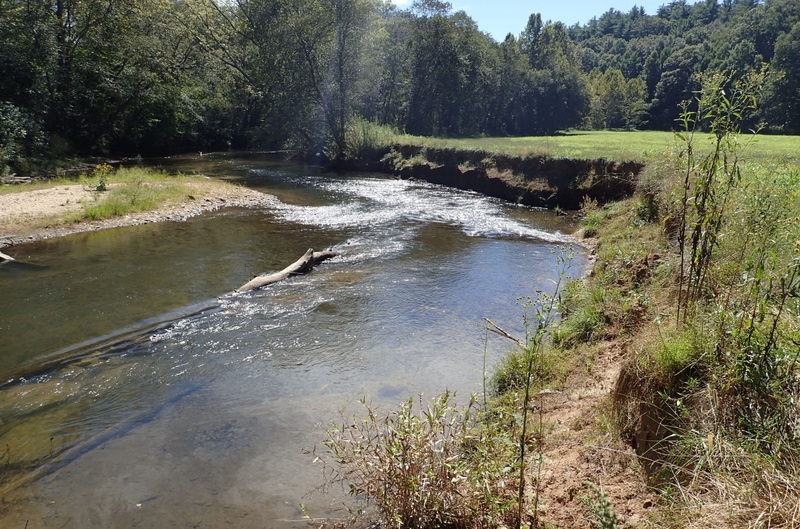 This disconnection starves the adjacent wetlands of water and exacerbates downstream flooding.